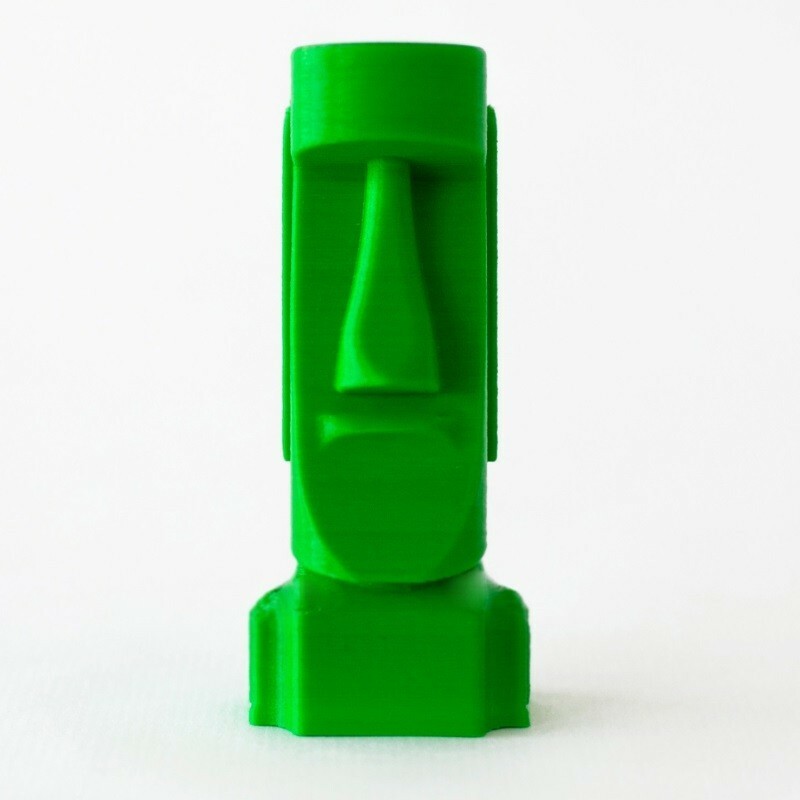 Green Smartfil PLA filament (1.75 mm or 2.85 mm) is the easiest material 3D printers print on FDM/FFF Technology. With this Smartfil PLA Green filament (1.75mm or 2.85 mm) you can get brighter and soft figures using the ABS filament while the figures are rigid and resistant, also printed parts PLA behave better with angles and they don´t need warm bed. Green Smartfil PLA filament (1.75 mm or 2.85 mm) is made of high quality without recycled material and fully stabilized with a variability of ± 0.03 mm diameter which produces warping and which is obtained an excellent resolution printing. With this Green Smartfil PLA you can print at a faster print speed than other basic PLA filaments obtaining a better surface finish. 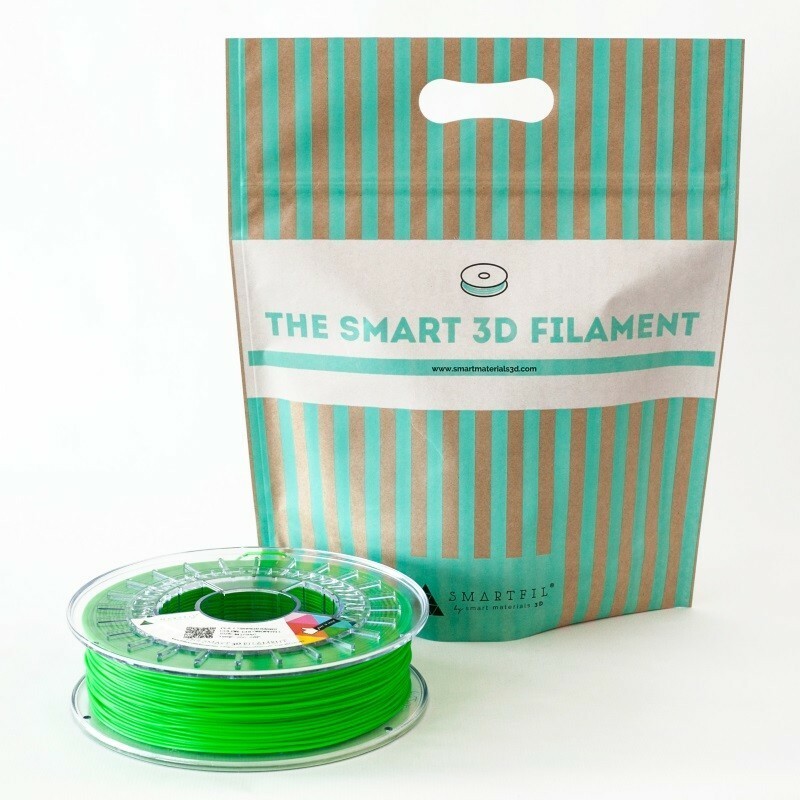 In addition, the Green Smartfil PLA filament (1.75 mm or 2.85 mm) is a permanent, odorless polymer. The extrusion temperature for printing with this Green Smartfil PLA filament must be between 200 and 220 °C. Tips on use tab you will find more interesting information for optimal results using PLA filament Green Smartfil in your 3D printer. You can not drill, paint or sanding as ABS but is a more stable and easier plastic print this. If you want to achieve extraordinary surface finish in the Smartfil PLA Green filament (1.75mm or 2.85 mm) using coating designed specifically for 3D printing you can find in the accessories category called XTC-3D. For higher yields of 3D printing it is advisable to cover the bed of the printer with Blue Tape, Magigoo or 3DLac you can find in the store fixtures. 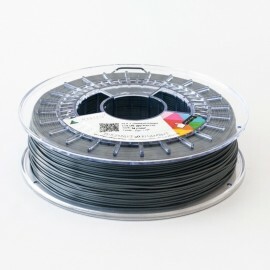 Furthermore 750 grams spool of Green Smartfil PLA filament (1.75mm or 2.85 mm) are packaged in the Smart Bag that is a novel multilayer packaging that is recyclable and reusable and is used to store and protect a single coil filament several times by offering greater protection against external agents such as humidity.